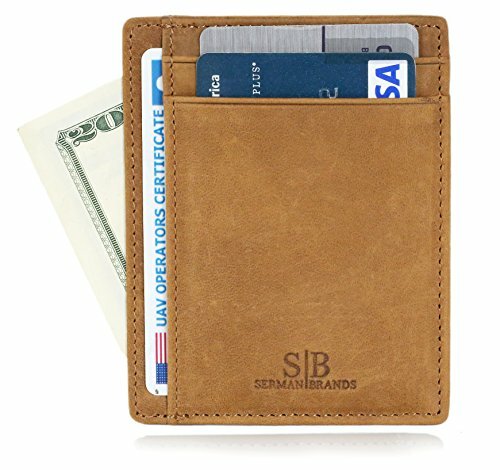 ✔ GENUINE LEATHER - This wallet quality handmade from sturdy and durable full grain leather made carefully, reliably, with love! Very easy to use and at the same time fashionable and elegant. ✔ Minimal - With its slim no fold design, your wallet stays slim while still carrying a decent load of essential cards. The Scout reduces bulk and keeps your pockets from being less bulky and lumpy. Carry in your front pocket or back pocket. Measures 4" x 3 1/4" x 1/8"